Rory C bought his first turntables at the tender age of 13. After perfecting his beat mixing skills and playing at friends parties, he started DJ'ing at University in Bristol. This led to DJ'ing at Bristol bars, more private parties, many seasons at the infamous Harbour Bar in Corfu during his student years, nearly all of which led to word-of-mouth recommendations for private parties and events in the UK. He now plays at some of the hottest bars and clubs in Oxford, London, overseas at Weddings in Portugal and Corfu and has entertained the likes of Kate Moss, Richard Hammond, the home counties Aristocracy and USA's elite party set. When not DJ'ing for RJCC Events' busy schedule of 18th, 21st, 30th, 40th and 50th Parties and corporate events, Rory C lives in Oxford with sets at many Oxford bars and clubs. Residencies have included Wahoo (now closed), also the former home of the legendary Fuzzy Ducks nights, Camera (now Emporium), The Bridge, Lola Lo (now Fever) as well as many other nightclubs internationally. He has played at Raffles, The Waldorf Hilton, and The Dorchester in London, many top student club nights as well as for School Proms, Oxforrd University Balls, The Royal Agricultural University Balls, corporate events such as the Ledbury Hunt's 'Fox Rocks' Ball, Silverstone Grand Prix and Jaguar Landrover Awards to name a few. 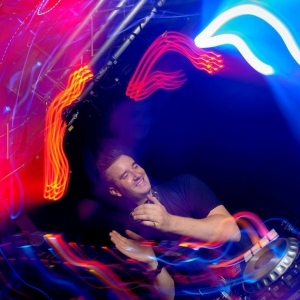 Rory C specialises in Dance, Deep and Tech House but also blends a high standard of 'Cheese' and Chart seamlessly into his sets from 60's, 70's, 80's, 90's, Naughties to Pop, Hip Hop, R'n'B, Old Skool, Retro, Mash-up's, Golden Oldies, Drum & Bass and more importantly he takes requests!! !